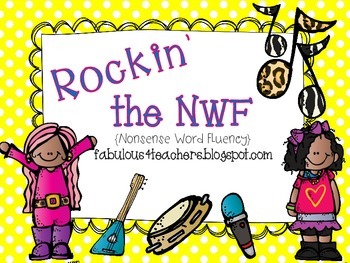 This pack is a great way to help with the NWF (Nonsense Word Fluency) portion of Dibels. 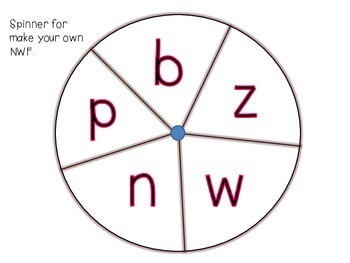 It helps students practice tapping and blending words as well as the difference between real and nonsense words. *Write Some Nonsense ( same as Write the Room) There are cards that have nonsense words as well as some that have real words. The record the word on the recording sheet in the correct section. 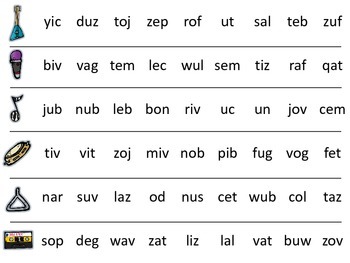 *Nonsense Blends~ Practice for recalling each sound with a visual reminder that they must blend the word at the end. 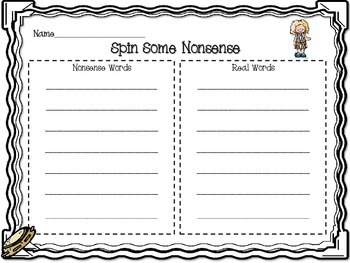 *Spin Some Nonsense~ Students will build their own words and decide if they are real or nonsense.